In special area classes students don't always need supplies like pencils, crayons and scissors. Since my students need them often, I've tried several different ways to store them and organize them. I need soething that allows students to be able to get them quickly and pack them up even faster. For the last 10 years or so I've used zipper seal sandwich baggies. They work well, but I change them out a couple of times a year because they get worn or germy or something. This year I'm trying something new-travel soap boxes! I picked mine up at Wal-Mart because it seems like I am there all time, but I am sure you can find them in other places too. A box of 24 crayons fits perfectly! I am excited to announce the dates for the Back to School Site Wide Sale on Teachers Pay Teachers! This Monday-Tuesday, you can get 20% off items in my store and if you enter the discount code BTS14 you get an extra 8% off. So what kinds of products should you put in your cart? I'm linking up with Mrs. Miracle's Music Room to talk about some of my favorite products. BUNDLES! All of the things that I want to talk about are bundled. 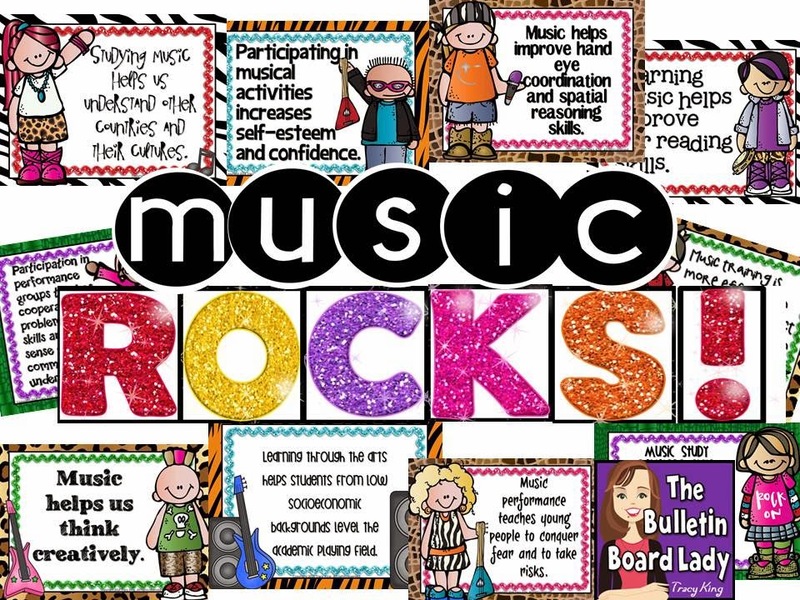 First, I want to talk about the theme that I am using to decorate my room...*drum roll please* Music ROCKS! I'm in the printing, cutting and laminating stage of getting my classroom ready to rock. I hope to post some pictures within the week. 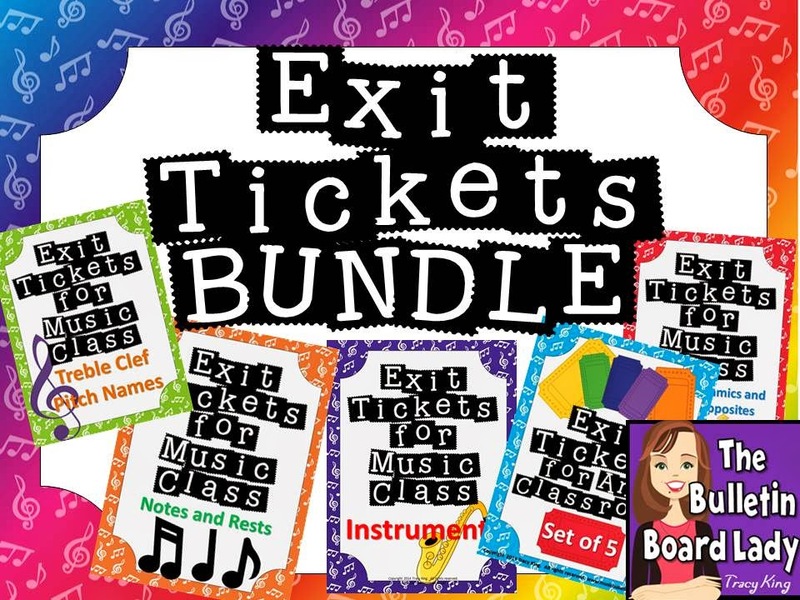 In addition to getting my room décor ready I'm ready to make some copies of my exit tickets so they are within arm's reach during the first few weeks. I love being able to capture a snapshot of what students understand with these little slips! Okay...so I've got my room decorated and a plan to assess my kiddos. Now what? Let's plan some awesome! 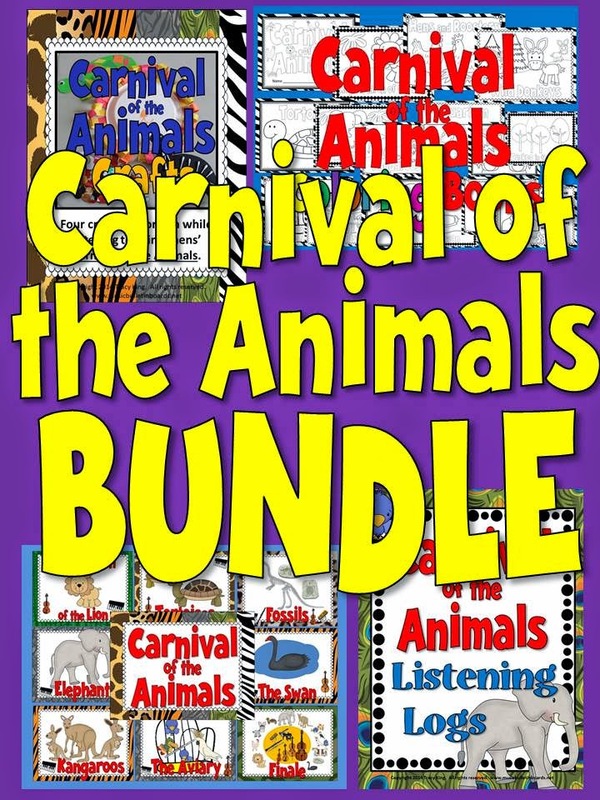 This fall my 2nd graders will study Saint-Saens' Carnival of the Animals. We'll write, move, play, listen and even make crafts during this unit. 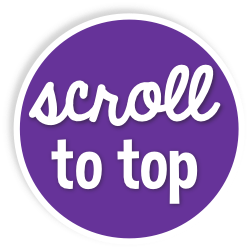 Wanna see what we are doing? 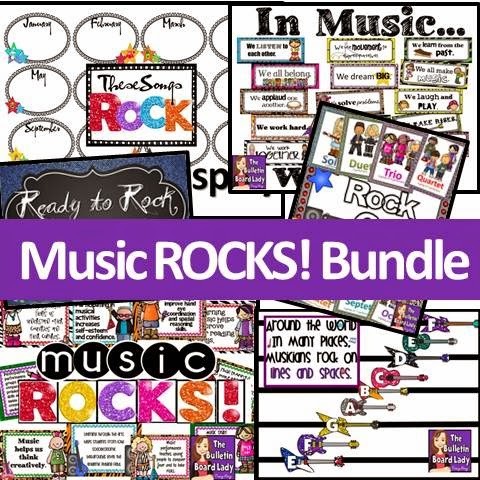 It is all in this bundle! I'm also looking to fill my cart with goodies from some great music sellers. 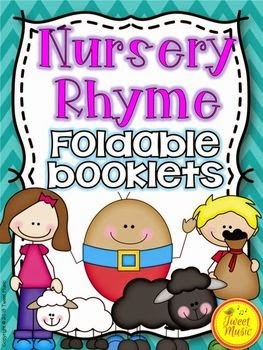 These NURSERY RHYME FOLDABLE BOOKLETS AND POSTERS by Tweet Music are already in my cart! The sale ends Tuesday! I hope you find lots of things as you plan for a great new year! I LOVE to make bulletin boards! During the last few weeks of summer break I love to spend time lounging and creating displays on my laptop. I love the happy slicing sound of the paper cutter and I have my own personal laminator because seriously...everything looks better laminated! This year, however, I've hit a bump in the road. I was in a car accident last week and broke my wrist and part of my hand. I've got some of my back to school stuff started but I'm not sure if I'll finish before the old school bell starts ringing. 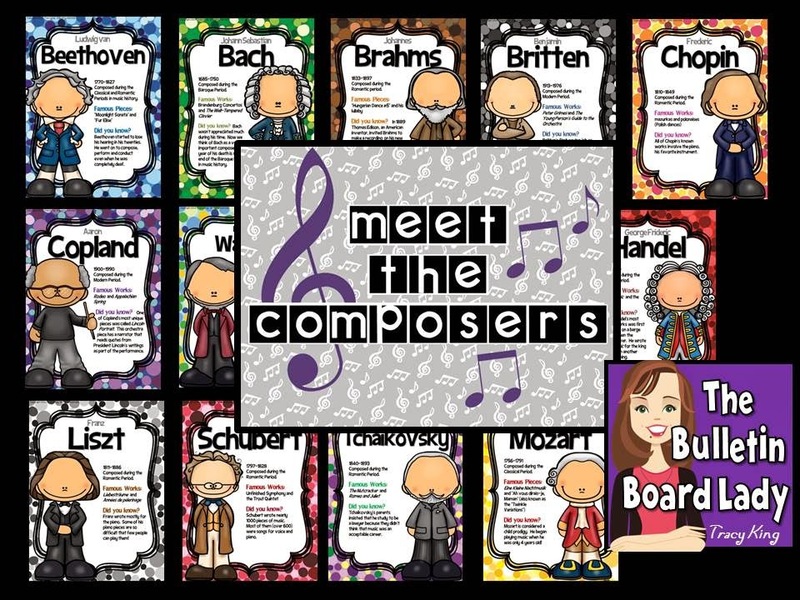 Today I am linking up with David from Make Moments Matter to showcase some of my favorite bulletin boards for back to school time about composers. This year I hope to increase the amount of time that my kiddos spend immersed in the music of the greats. 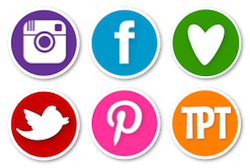 These bulletin boards will help! This fun bulletin board comes with a phone book of answers. 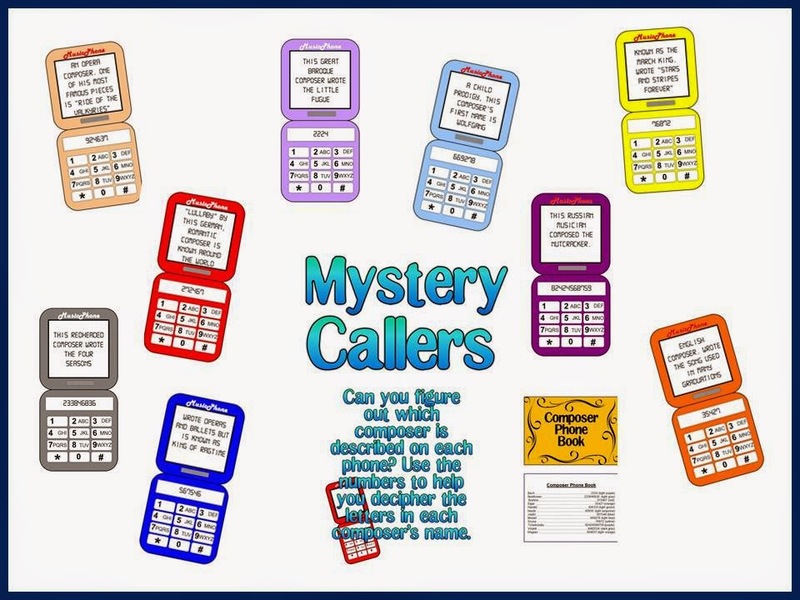 Each phone has a little clue about a composer and the composer's name in numbers that relate to keys on the phone. Most kids refer to this as "old school texting". LOL. 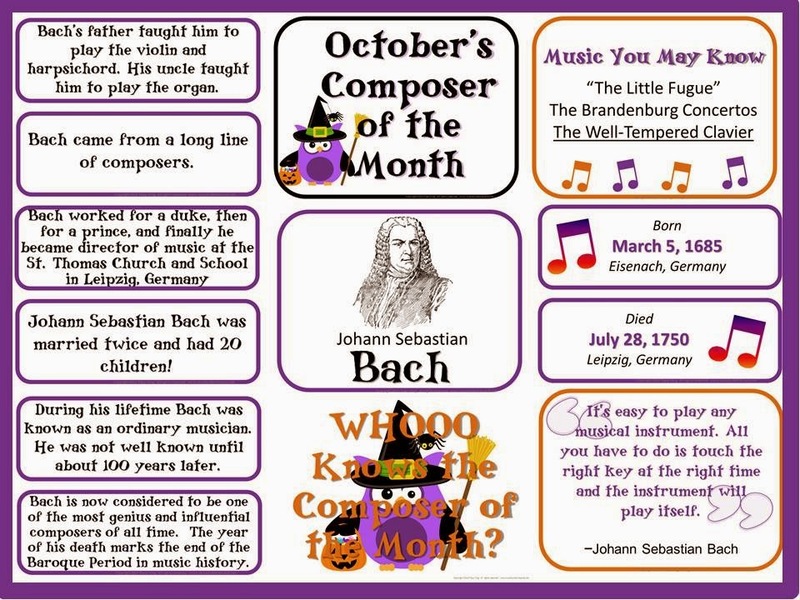 Fun for a composer of the month display or to display all at once. This is one of my new favorites! I'm not sure if I'm going to use this as a large display or if I am going to display them one at a time. 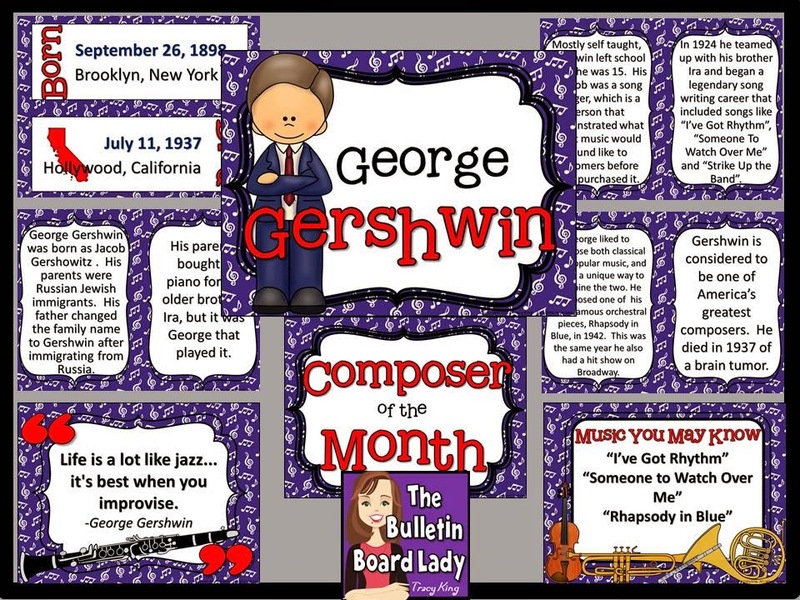 I have used the complete set of Composer of the Month bulletin boards before and they were big hits with the students! 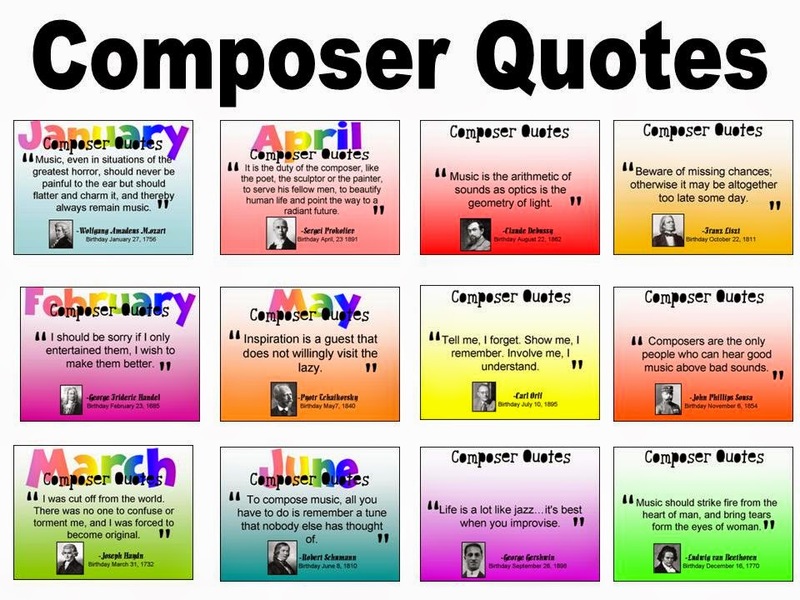 Check out all of my Composer of the Month kits. This is one of the bulletin boards for my newest collection. I love how colorful they are and hope they'll get lots of attention from my students. I'm working on bundling the composer sets. I'll post them here as soon as they are ready. 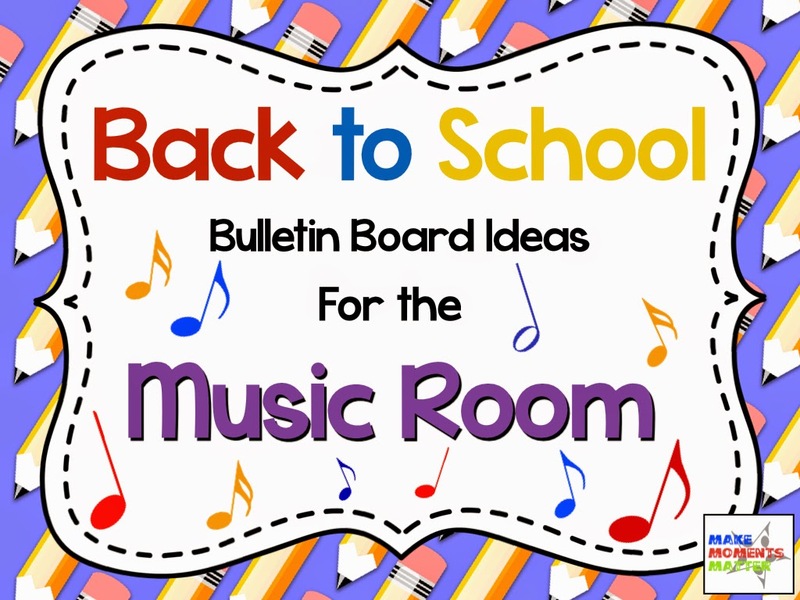 The links above are to Teachers Pay Teachers but if you are a shopper at Bulletin Boards for the Music Classroom you can find them there too.